ANNAPOLIS, Md. – In June 2014, the Maryland State Police (MSP) Automotive Safety Enforcement Division launched the statewide Maryland Safety Inspection System (MSIS). This multi-agency system has successfully streamlined the vehicle inspection process by enabling the 1,600 vehicle inspection stations statewide to electronically record and report results to the MSP. The MSIS system is actively used by the vast majority, nearly 72 percent, of Maryland inspection stations which have electronically filed over 500,000 inspections. That’s half of a million inspections filed in less than two years, a huge win in terms of efficiency for the state of Maryland and inspection stations. The system was designed with a tablet-first approach, providing mechanics with the option to complete the inspection real-time in the bay on any touchscreen device. User controls are in place to prevent mistakes, and the inspectors simply touch P (for Pass), F (for Fail), or R (for repaired) for each vehicle component. Most used vehicles are required by Maryland law to undergo a safety inspection prior to its sale or transfer. The Maryland Motor Vehicle Administration (MVA) receives the inspection data electronically through MSIS, reducing the amount of foot traffic in MVA branch offices, wait times, and increasing overall customer satisfaction. Each year, over 600,000 vehicle safety inspections are conducted in Maryland. MSP uses the electronic Maryland Safety Inspection System to monitor all vehicle inspections throughout the state, to better protect citizens from fraudulent or improper inspections. The MSIS system was developed and is hosted and maintained at no cost to the MSP or the MVA. By leveraging a self-funded master contract with the Department of Information Technology (DoIT), the agencies have realized a cost avoidance of over $850,000. Over $190,000 is saved annually by eliminating inspection certificates and reports used by the inspection stations. Troopers and Vehicle Safety Inspectors alike experience time savings by eliminating the need to deliver paper inspection certificates to the stations and process the manual paper-based station inspection. Agency business processes are improved by eliminating paper intensive record keeping and administrative overhead, and allow for more efficient use of man hours to regulate and enforce overall inspection program compliance. NIC Maryland builds, operates, maintains, and markets the official website of the state of Maryland, www.maryland.gov and its digital government services. NIC Maryland is a collaborative public/private partnership managed by the Department of Information Technology (DoIT) and NIC Maryland. 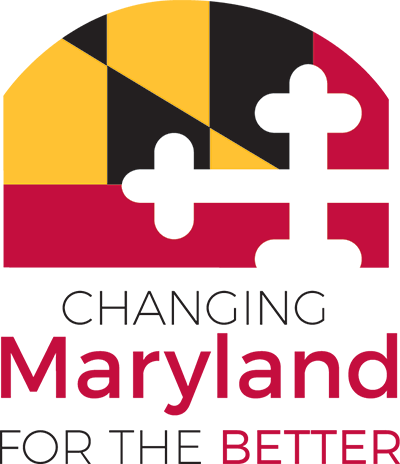 NIC Maryland helps Maryland state and local government entities web-enable their services and operates without tax funds through a self-funded digital government services contract. NIC Maryland has developed more than 65 eGov products and services for the state of Maryland since the contract was awarded in August 2011.